At home and overseas, we have many opportunities to bring about positive change. It’s a part of the job that never fails to satisfy. We need to be prepared for all eventualities, so a significant part of our time is spent on exercises. This is the time when we learn the skills required to be a soldier, and to undertake specialist roles, whether that’s as a sniper, an officer or a chef. It’s also when we get to grips with our equipment and understand its capabilities. From Light Armoured Vehicles to night vision goggles to heavy mortars, we’ve always got our hands on the latest technology. We're here to protect New Zealand and its people. This means that we’re called upon to provide assistance in civilian emergencies at home. This could be anything from search and rescue, to natural disaster relief, bomb disposal or even assisting the police with crime scene investigations. Our commitment to supporting our allies and helping countries in need regularly takes us overseas too. Warfare is one of our core skills, so as we have seen in Afghanistan, if we’re called into a combat zone we're ready to play our part. Other common scenarios include supporting countries affected by natural disasters and famine, or helping protect civilians caught up in conflict. We have bomb disposal teams throughout the country, on call 24-7. We assist the police with everything from search and rescue to crime scene investigations. In civil emergencies we’re on hand to provide shelter, supplies, transport and security. Our work at home is essential to the welfare of the country and the safety of its citizens. Operation Christchurch quake 2011: Less than two hours after the earthquake struck Canterbury in 2011, our teams were there to provide search and rescue, medical assistance and damage assessment. After that came the long-term requirements of re-supplying and re-building, as well as maintaining a security cordon around the badly affected central business district. We carry the mana of all New Zealanders. There is no better example of this than when we’re overseas. Our work takes us to all four corners of the globe, helping people and countries in need, particularly our Pacific neighbours. From peace support in East Timor to tsunami relief in Papua New Guinea, you'll discover that our expertise is essential in effecting positive change. The Army’s values are Courage, Commitment, Comradeship and Integrity. Could you live by them? An Army is always among the first to get its hands on the latest technologies. The New Zealand Army is no different. As you would expect, much of the technology at our disposal is designed to help us excel in combat situations. Some of the weaponry you might train with includes the Individual Weapon, Modular Assault Rifle System – Light (IW MARS-L), which has both automatic and semi-automatic capability. It is fitted with a hybrid 4x magnification optical gunsight and miniature red-dot sighting system, and is capable of both long-range and close-quarter target acquisition. The FN Minimi 7.62 Light Support Weapon (LSW) is a fully automatic, belt fed, gas-operated machine gun, which provides soldiers with accurate and effective organic fire support. The Javelin anti-armour system can take out an enemy tank from 2.5km away. The New Zealand Light Armoured Vehicle, or LAV as we call it, is a massive leap forward for capabilities. It provides troops on the battlefield with extra mobility and protection and can play a key role in our missions. We also have inflatable craft for sea-borne expeditions and high mobility excavators for clearing debris and construction projects. Add to this other specialist equipment, such as laser-targeting binoculars, and you can appreciate why being in the Army means being at the forefront of technological developments. 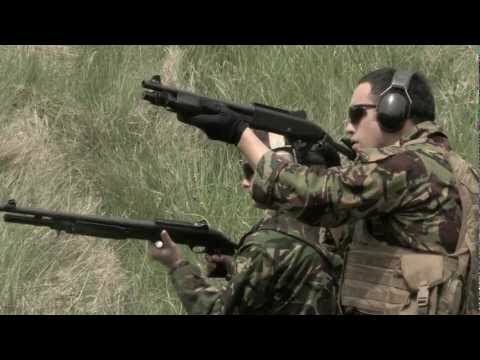 Defence has recently bought a number of additional Benelli M3 (NZ) Shotguns to enhance its current fleet of weapons. 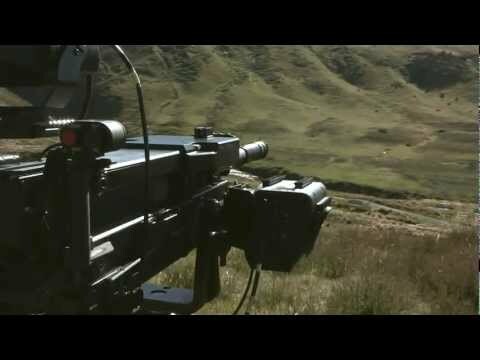 Introduction of the new Heckler & Koch GMG (Grenade Machine Gun) for the New Zealand Army.